Just because a gift is inexpensive, doesn’t mean it has to look cheap. We strive to provide quality bridesmaid gifts at reasonable prices. 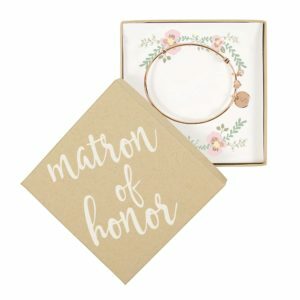 Our goal is to put smiles on the faces of your bridesmaids, maid of honor and flower girl — while not breaking the bank. Worried that you won’t love your order? Allow us to put those fears to rest. Our customer service guarantee is that if you don’t love your personalized gifts, you don’t pay for them. No hassles and no questions asked. Congratulations on the upcoming big day. It’s going to be amazing!